Open House is still going strong! For the entire month of March every one of our sites are open for you to come check out what God is doing in our communities. We welcome you to join us at any of our locations. Click the site link for location addresses and times. 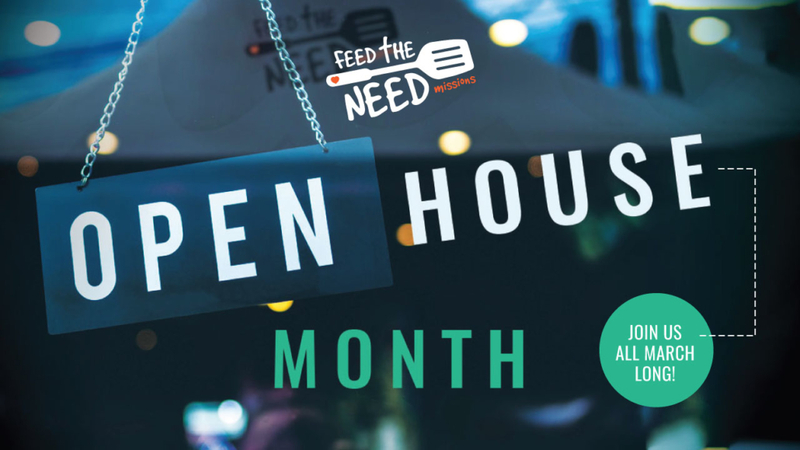 Open House Opportunities Dates and Sites MONDAY Bastrop South Stony Point TUESDAY Newark THURSDAY Justin SUNDAY Bastrop North Giddings Smithville And.. Feed the Need Missions has been busy preparing for our upcoming trainings! We would like to invite you to come to a training in April. Checkout out our training landing page for a training in your area. We look forward to seeing you at our Open House and Site Training events!